Events without a roof - With their fingers crossed for the weather to be good; many towns and cities across the UK host outdoor events for the public, from Concerts and Fireworks displays to Shows and fairs: DD Pro Audio will give you confidence as your event's audio supplier. 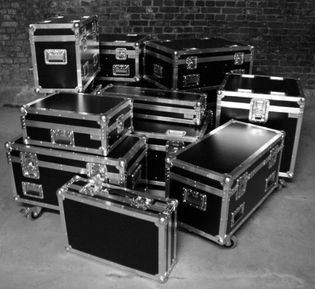 Including pro audio hire and visual systems from ADJ, RCF, Chamsys, Bose,Martin Audio, K&F and D&B Audiotechnik + a large range of rider friendly digital mixing consoles, Projectors and more ready for all of your event audio visual hire needs. We have provided exceptional audio and sound hire for remembrance day and memorial services; as well as outdoor worship, award presentation and carol ceremonies in many towns and cities across the north west. Also known as Pyromusicals; we have been providing audio for fireworks events for over 10 years with crowds in excess of 12,000 people: Our long standing partnership with British fireworks champions Blitz Fireworks (As seen on BBC 2) has given us years of experience providing earth shaking audio that can be heard over the thousands of explosions in the sky - Any time, any weather! Movie theatres have their audio systems in epic 5.1 and 7.1 surround sound - We have brought this same concept to outdoor cinemas in 2018 offering the best outdoor surround sound experience in the UK along with the trouser flapping sub you expect from the big explosions on screen to make you feel like you're really there. Short but sweet events that every year draw huge crowds with an array of entertainment from famous artists and crazy local talent alike. We love these events but understand that they can be unpredictable and require a highly skilled team to make everything run like clockwork - We can take your stress away with our full Christmas light switch on production services. From beer gardens to huge fields and one off locations: when DD Pro Audio is providing the sound production for your outdoor concert you can be confident that your audiences will be left blown away. We are happy to install and design systems for concerts in unique locations and all of our kit it weather proof too so there is no location to large, small or strange! Go out with a bang: Partnered with British fireworks champions Blitz we are proud to be able to offer our events clients the very best in pyro and fireworks effects for their shows.